Questions? Let us know how we can help you! The products were economical & easy to use & they totally solved our warehouse problems with roof leaks! Love your product and have been telling everybody we know about it. Great stuff! Thanks again! I have done a lot of business Online and have NEVER had such a good experience with customer service and support. Every person I have spoken to on the phone has been so pleasant and helpful! You have been so prompt and clear and helpful in your responses. I am really impressed and grateful for the way SureCoat has done business with us. With the SureCoat and El Nino, not a drop has leaked! I am a DIY guy who did a large area of flat roof with SureCoat on my own last year. The same roof had been done about 6 years before with conventional materials at quite a cost but it started to pond and leak through the ceiling about 4 years ago. With the SureCoat and El Nino, not a drop has leaked through. I had filled in the ponding areas with self leveling cement to flatten the surfaces. Let it cure for a few weeks and then did the SureCoat process after some aggressive cleaning. Really happy with the way it turned out. We had 3 smaller areas (10 x 20) that we were able to get both the first and final application applied and stopped the leaks completely. From what I am seeing this product is excellent and I am confident that when we are able to finish the final application on the large areas we will be dry. Thanks for all of your help. I’ve been an installer of SureCoat Systems since Oct 2012. And I’ve never regretted it. The people at SureCoat are top notch! They’ve always been there when I needed help. There is NO other product on the market that can match SureCoat... Thank You SureCoat for accepting my business as an installer for your great product! I am a DYI homeowner who works in information technology, not in the building trades. I am a few years into having SureCoat on my roof and it is working great!. I have been in my house over 30 years and since I put on SureCoat, this is the longest period of time I have gone without any leaks. Huge Tax Deductions for Coating your Roof! Sign up for our monthly E-News for exclusive downloads like this each month! Interested In Being an Approved Contractor? SCHEDULE A FREE ROOF INSPECTION WITH A SURECOAT APPROVED CONTRACTOR TODAY! Call 877-823-7873. It’s FREE and there is NO OBLIGATION! Does your roof suffer from ponding water? Most flat and low-slope roofs will pond water to some degree. 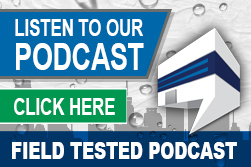 Traditional roof coating and single-ply roofing manufacturers’ warranties do not cover failures and roof leaks if the roof has ponding water conditions. 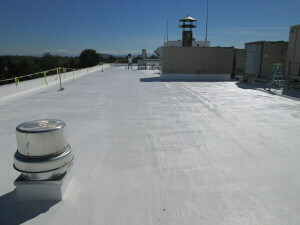 Are you tired of the play-on-words which eliminates coverage for the #1 offender of flat and low-slope roof systems? Do you want the security of a roof warranty that actually covers this culprit? The SureCoat Roof System has a Non-Prorated, Renewable Warranty which Covers Failures Caused from Ponding Water – even on Flat Roof Systems! Don’t wait until it’s too late… Call or Click for your Free Roof Inspection Today 877-823-7873. Copyright © 2010 - 2019 SureCoat Systems, Inc.